The former World No. 1 in doubles receives a six months ban, with three months suspended, and $10,000 fine, with $5,000 suspended. 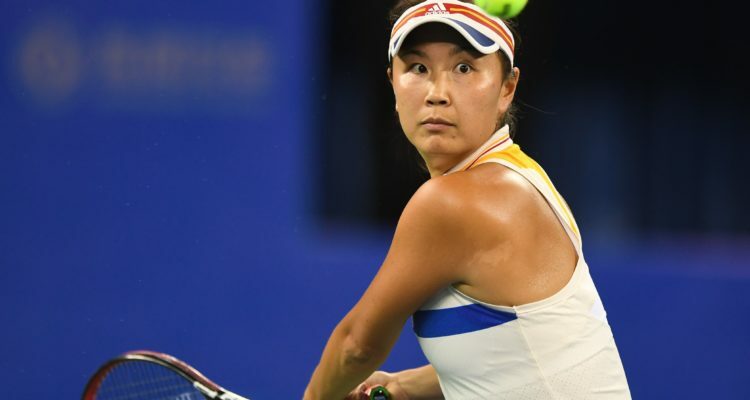 Peng Shuai was found to have used coercion and offered the possibility of financial reward in return for her main draw partner agreeing to withdraw from the ladies doubles event at Wimbledon 2017. Independent Anti-Corruption Hearing Officer (AHO) Prof Richard H. McLaren considered the case at a Hearing held in London on 16 July 2018, following an investigation by the TIU. Today’s decision from Prof McLaren imposes a six months ban, with three months suspended, and $10,000 fine, with $5,000 suspended, on condition that no further breaches of the TACP are committed. The suspension applies with immediate effect and means that the player cannot compete in or attend any event organised, sanctioned or recognised by the governing bodies of the sport. Assuming no further breaches of the TACP are committed, Peng Shuai will be eligible to play again on 8 November 2018. The 32-year old is currently ranked 20 in doubles and 80 in singles. She was the number one ranked doubles player in February 2014 and has a career-best singles ranking of 14 achieved in August 2011. In a companion ruling Prof McLaren imposed a three months period of suspension of credentials on the player’s former French coach, Bertrand Perret. Mr Perret was found to have used coercion and offered the possibility of financial reward in return for Peng Shuai’s main draw partner agreeing to withdraw from the ladies doubles at Wimbledon 2017. Today’s decision from Prof McLaren imposes a three month suspension of credentials on Mr Perret, who as a tennis coach is a Covered Person under the TACP. With immediate effect, the ruling will prevent him for attending or coaching at any event organised, sanctioned or recognised by the governing bodies of the sport. Assuming no further breaches of the TACP are committed, he will be eligible to resume attending tournaments on 8 November 2018. In a companion ruling Prof McLaren imposed a six months ban, with three months suspended, and $10,000 fine, with $5,000 suspended, on Peng Shuai, who worked with Mr Perret between November 2016 and January 2018. This entry was posted in WTA Tour News and tagged Shuai Peng, Tennis Integrity Unit, WTA.